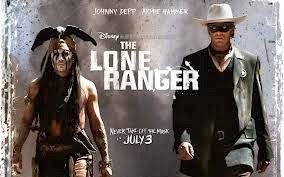 Last night my daughter and I settled in to watch the 2013 blockbuster The Lone Ranger, directed by Gore Verbinski, and produced by six companies including Walt Disney Pictures, Jerry Bruckheimer Films and a rather suspect organisation (in terms of Hollywood accounting practice) called Silver Bullet Productions (II). While hardly a masterpiece, it made for enjoyable Friday evening in. This was, in part, due to that familiar brand of humour that Verbinski imbues into his films including the first three instalments of the Pirates of the Caribbean (2003, 2006, 2007), also produced in collaboration with Disney and Bruckheimer. Moreover, who can resist Johnny Depp’s incarnation as Tonto, despite the fact that it bears a remarkable similarity to his performance and appearance as Jack Sparrow in Pirates. So I have finally got around to viewing Disney’s 2013 animation Frozen (Chris Buck and Jennifer Lee, 2013). Let me say up front that it took me two attempts to get through the film, because I am, for the most part, not a fan of musicals. Also be aware that in the pursuit of an informed critique of gender and feminism, this film review contains numerous spoilers. It’s time that media discussion and debate about gender inequality establishes some ground rules, namely logical consistency. Reading Clementine Ford’s opinion piece ‘Male privilege extends beyond the airwaves,’ written for the ABC’s drum, brings this to bear. This is a cut-and-dry feminist argument that the lack of women in Australian media is detrimental to female equality in society at large. The evidence offered is quite staggering. For instance in talk back radio this time last year there were only 17 female hosts to 123 male hosts. Moreover, Ford’s critique of the ABC program Q&A is spot on, which regularly populates its panel of experts with a 4:2 ratio of men to women. Interesting she ‘guesses’ that if this ratio was in reverse, there would be a vocal audience backlash. To this last point I would caution that conjecture is not evidence. I have recently been pointed in the direction of some interesting research indicating that the publicity generated by 'piracy' may actually negate the negatives, particularly for artists (thanks Peng Tiong). The study followed a sample of 16 000 internet users from 5 different European Union countries throughout 2011. The study tracked demographic characteristics, and also identified specific visits to music related websites, both legal and illegal. In the report researchers state that the results: 'present no evidence of sales displacement,' and that piracy does not, in fact, displace legal music downloads. Instead, findings suggest that illegal streaming may actually boost sales. The recent furore that has erupted aroundSydney Bienniale artists rejecting corporate sponsorship brings to bear some important assumptions around the role of the artist in society, and how their activities are bankrolled. In a nutshell, the Bienniale severed ties with sponsor Transfield Holdings as a protest against the corporation’s involvement in offshore detention centres. This has inspired a number of responses by government ministers. Most notablyArts Minister George Brandisthreatened to pull funding from the event all together. Figures released by the Australian Home Entertainment Distributors Association show that the market for digital film and television sales in Australia grew 22.4% last financial year to $143.67 million. It is estimated that digital sales now account for 15% of the market, up from a reported 10% in 2012. The rise in digital sales has been accompanied by a steady decline in the sale of DVD, Blu-Ray and other physical formats, which peaked in 2007-08 with 98.8 units sold. The number in 2012-13 was 63.6 million units. Amazingly however, in Melbourne’s The Age newspaper this morning, Karl Quinn asserts that these figures represent a glimmer of hope for the declining home entertainment industry, which is apparently besieged by piracy. As argued yesterday, clearly there is a very significant technological shift occurring and the Australian market is playing catch up with consumers. Piracy is one effect of this, the other is consumers purchasing content online. The Code of Practice guiding the conduct of TV and radio broadcasters is outdated and should be scrapped. Key reasons supplied bybroadcasters, in a report released by the Australian Communications and Media Authority (ACMA), include the difficulty of sourcing adequate G-rated programming for the day time schedule, declining revenue as advertisers shift their investments to the web, and the costs of responding to code-related complaints. In addition to these financial complaints, I see three broad problems with the Code of Practice, and indeed regulatory bodies like the ACMA, which ultimately prevent broadcasters from maintaining their relevance for Australians. Media is dynamic, bureaucratic regulation is not.As evidenced by ill-advised attempts to adapt existing intellectual property laws to digital media, top-down regulation will at best, play catch up with technological development, and at worst,cripple creativity and innovation.